Also available on Kindle and iBooks. It was not easy being a young Chinese girl growing up in California during the 1920s and ’30s. Kathleen not only had to survive the prevailing hostility of the times, she also had to endure being “a worthless female” working in her family’s laundry and her mother’s suspicion of anything not Chinese. 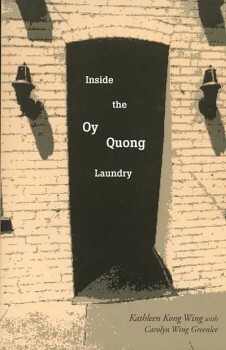 Her search for worth and struggle for acceptance, the awkwardness of growing into womanhood, and her gracious acceptance of those ugly aspects of life which can transform us into people of dignity, character, and grace are captured here Inside the Oy Quong Laundry.